Located on the northeastern coast of Central America, Belize is an extremely beautiful country, which attracts hundreds of visitors each year. Communication is not a problem for the tourists as it is the only country in the region with English as its official language, although Spanish and English creole are also spoken in the country quite commonly. The Mayan ruins and the tropical environment is one of the biggest tourist attractions in Belize. Apart from that, you will witness many exotic animals and a blend of different cultures in the country. 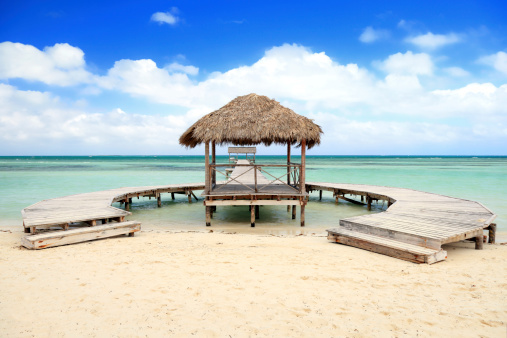 If you are a beach-lover, you will not be disappointed in Belize as it offers white sandy beaches and gorgeous waterways. Many traveling experts call this country as a Central American paradise. It is highly recommended that you travel to Belize between November and April as it is the dry season. You should avoid going there between June and November as it is quite rainy during that period. Keep in mind that Belize is busiest during Christmas, Thanksgiving and Easter. The nights in Belize are quite cool but the days are extremely hot; therefore, you have to pack your bag accordingly for a dramatic climate difference. It is advised that you keep shorts, lightweight T-shirts and a warm-jacket with you. You can save a considerable amount of money by taking domestic airline flights from the local Belize City airport. Taking flights from Philip Goldson International Airport will cost you a lot more in comparison. If you are not traveling by a shuttle or a bus, you should rent a car in Belize. Be mentally prepared for rough landscape, unpaved roads and mudslides as they are a norm during the rainy season in Belize. Credit cards are not accepted in all places in Belize; therefore, you should carry enough cash with you in your wallet. In order to enjoy your stay in Belize, it is strongly recommended that you thoroughly study the history of Belize. This would help you relate to the culture and traditions of the country.